A few months back, Michael Muller, friend and co-founder of the amazing Balmorhea sent me a mix of ambient and modern classical songs that had been on his radar in recent months. I can say without reservation that nearly every song piqued an interest in the accompanying artist (ergo, Mr. Muller either has great taste, the uncanny ability to select music that makes sense to my brainwaves at a specific moment, or both). One track in particular quickly made its way deep; hearing “Lacunar Amnesia” by The Caretaker closely resembled the blissfully comatose feeling I experienced when a friend passed along OK Computer in the late 90’s. Then, just as now, there is no going back. 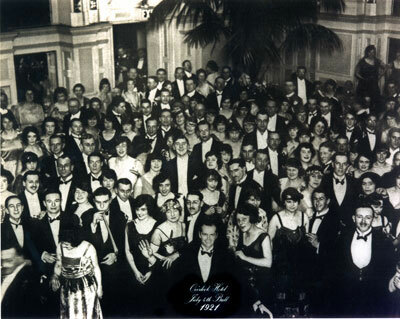 “Lacunar Amnesia” comes from The Caretaker’s 2008 release, Persistent Repetition of Phrases (History Always Favours the Winners), a record that uses ballroom tracks from the early 20th century as source material to capture the often sinister and wobbly character of memory. Partially re-imagining and inspired by the haunted ballroom scenes of the The Shining, The Caretaker’s James Leyland Kirby distresses the source material into an emotive, impressionistic ambient haze. Implicit in the filtered wash of “Lacunar Amnesia,” in particular, is the potent fallibility of memory; we don’t always remember who, what, why, etc., but we always take away a version of how different time periods and relational experiences felt. Where pop music often lets us down by being tied to nothing more than a manufactured, base-level palette of tired break-up clichés, more obscure genres (i.e. ambient, modern classical, “home listening,” etc.) can just as easily over-intellectualize topical matter, alienating listeners and damning the point of the artistic exercise. With Persistent Repetition of Phrases, The Caretaker strikes a nice balance between intellectual and egalitarian pursuit by using complicated academic and musical source material in a way that can be related to by almost anyone that slows down long enough to grapple with the subjective power of memory. Kirby has just released a trilogy of recordings under his given name entitled, Sadly, the Future is No Longer What it Was. The series continues his meditation on memory, though the trilogy refines its scope to how memory affects how we move forward in our lives. He’s pulled together a short film to lend visual support to the ideas Sadly … tackles. Bonus: Grab Kirby’s excellent FACT mix for free.